Why Should I Host My Next Event at Exchange Hall? 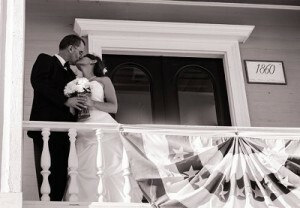 At Exchange Hall we love making it easy for our guests celebrate their special event. Whether it’s a wedding, bat or bar mitzvah, anniversary, or family reunion, function halls are a popular place to celebrate with friends and family. Here are a few reasons why it’s beneficial to host your next event at Exchange Hall. Our staff will assist with any questions you may have when it comes to planning and hosting your event. Once the party starts, we work to ensure you have a stress-free day or night. At Exchange Hall, we have a great list of vendors for all your party needs. With a trusted recommendation, you can eliminate the search for a caterer, DJ/band, bar-service, even the alcohol can be delivered. Along with a knowledgeable staff, Exchange Hall offers nothing, but the best when it comes to customer service. With experienced staff you’ll be able to enjoy your day and leave the heavy work to others. At Exchange Hall, we look forward to turning your dream event into realty, and the first step is hosting it with us! Schedule a viewing of our Ballroom and Victorian Room by calling us at 978-263-8500 or by filling out our online form. Spring is one of the most beautiful times in the year. The snow has melted, flowers are blooming and there is no doubt love is in the air. If spring is the perfect time for you to say, “I do”, Exchange Hall has a couple of tips to help you plan a fabulous spring wedding. Popular spring wedding flowers include hydrangea, rose, peony, lilac, tulip, calla lily and iris. All of these flowers will be in bloom. When paired together, they will create a beautiful and colorful arrangement for your ceremony and reception. If your service is outside, remember the evenings can be chilly. It’s always nice to have a few lightweight blanket throws available for your guests. A packet of summer flowering seeds is an easy and fun gift for your guest to leave with. As they bloom they will remember you and your special celebration. When it comes time to choose a venue for your spring wedding, consider Exchange Hall for your ceremony, reception, or both. We are happy to discuss available venue times or to schedule a showing of our Ballroom and Victorian Room. Contact Exchange Hall today by calling 978-263-8500 or by filling out our online contact form. Whether it’s your 1st or 40th, wedding anniversaries should be celebrated with loved ones. Anniversary parties are a great way to remember a special day, however long ago it was. If you’re thinking about planning a party for yourself or a special couple in your life, Exchange Hall has put together some tips and suggestions to think about as you begin planning. It doesn’t necessarily have to be the exact date of the wedding anniversary. In some cases, it’s better to choose a different date in the event the couple has personal plans. Speak with the couple to see what date/time work for them. Choose a location convenient for the couple and the guests. To make it extra special, consider having it at a venue like Exchange Hall. Our Ballroom provides a beautiful setting that is sure to make everyone feel the love in the air. Once you have confirmed a date and location, send out the invitations. Choose an invitation that best represents the couple. Be sure to include the party specifics, RSVP information and directions to the venue. Exchange Hall is happy to recommend vendors for all your party needs. From caterers, bar service, DJs or bands, photo booths, or limo service, we’re happy to offer our list of suggested vendors who have previously worked our venue. Make an anniversary special by holding it at a location that is known and trusted for their service and attention to detail. If you’d like more information on holding an anniversary party at Exchange Hall, contact us today. We can be reached by calling 978-263-8500 or by filling out our online contact form.